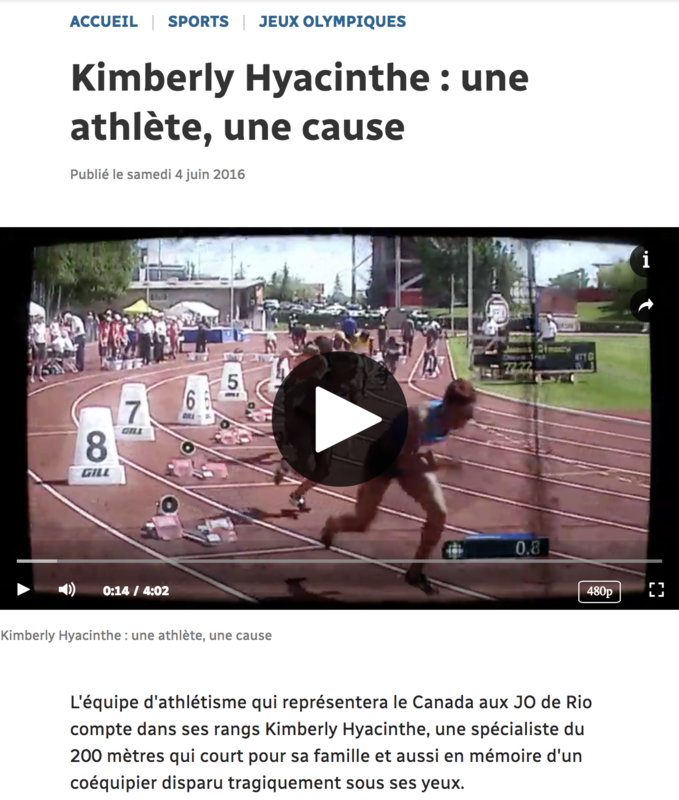 Kimberley is an Olympic caliber athlete in track and field. 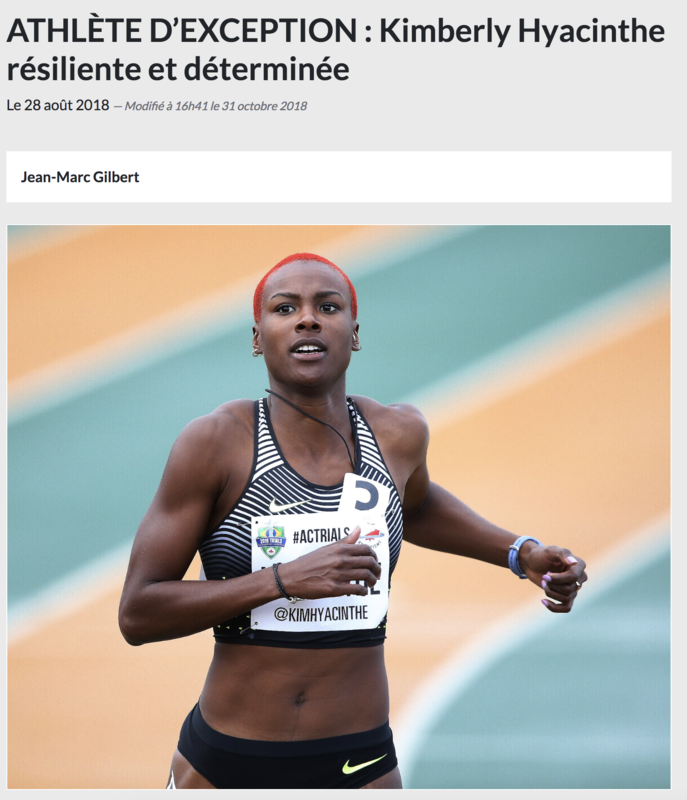 She was the first Canadian to win a gold medal in world university championships in 2013, 3-time Canadian champion and bronze medalist at the Pan-American games in 2015. 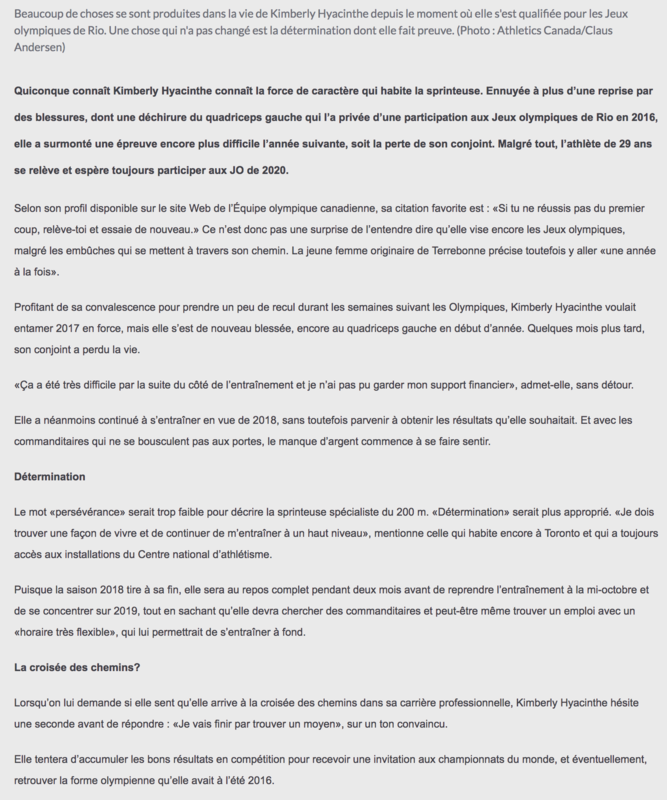 After having to forfeit the Olympic games in 2012 due to an injury, the nightmare continues 4 years later. With airplane tickets in hand for Rio 2016, Kim tears a muscle in her left leg just 5 days prior to departure. Today, she continues to train towards her dream to someday be an Olympic medalist and is even more determined than ever to be on the podium at the 2020 Olympic games in Tokyo. Kim is also a public speaker reaching out and mentoring other athletes and sharing the experiences that have transformed her life. In addition, Kimberley has also started her own marketing and consultation firm.